Few things are capable of striking fear into a homeowner quite like a furnace that won’t supply heat. Fortunately, in many cases the problem isn’t as daunting as you might assume. If you would like to improve your furnace troubleshooting skills, read on. This article will discuss two things that may be keeping your oil furnace from providing your home with heat. When troubleshooting a non-functional oil furnace, it is always best to rule out the most basic problems first. Here that involves checking that there is an adequate amount of oil in your fuel tank. The important thing to realize here is that the fuel gauge on the outside of your tank is not always a reliable source of information. Over time, these gauges tend to become stuck, mis-calibrated, or otherwise untrustworthy. Instead, assess your quantity of fuel using the dipstick located along the top of the tank. If necessary, arrange to have more heating oil delivered. Even the purest heating oil contains a certain percentage of impurities. Should such impurities be allowed to make their way into the fuel nozzle or the burner assembly, they can cause clogs, burnouts, and other problems. For that reason, all oil furnaces are equipped with a supply-side filter to ensure that the fuel entering the furnace is free of any contaminants. As time goes on, the oil filter itself will become excessively clogged with sediment and other contaminants. Eventually this will restrict the flow of fuel, making it harder and harder for your furnace to supply heat to your home. Thus it is important to check the filter on a regular basis and have it replaced if necessary. If your oil furnace has ceased to operate the way it should, please don’t hesitate to contact the experts at Green Leaf A/C and Heating for a professional consultation. Your furnace’s pilot light is located between the two gates on the main gas valve. When the pilot is running, a nearby thermocouple senses the heat and keeps the first gate open, thus allowing the pilot to remain lit. When the pilot light goes out, the thermocouple cools back off and sends a signal to the gas valve to close the first gate. This keeps raw gas from flowing out into the air of your home. On the gas valve is a button that must be pressed when relighting the pilot light. This button simply acts as a manual override of the first valve gate. In other words, when you depress the button, gas begins flowing to the pilot, allowing you to light it with a long match or lighter. Here is where problems often occur. If you let go of the pilot button too quickly, you may find that the pilot sputters and goes out. This is because the thermocouple has not had enough time to heat up. Unless it reaches a certain temperature threshold, it will not send the signal to keep the valve gate open. Next time you try relighting the pilot, be sure to keep the button depressed for several seconds while the thermocouple heats up. For more information about troubleshooting a stubborn pilot light, please don’t hesitate to contact the experts at Green Leaf A/C and Heating. Your furnace is something you may not be thinking about in the warm months when you don’t need it. But when the temperature takes a sudden plunge, and your previously forgotten furnace is turned on and doesn’t heat your house, it becomes your first priority. What does your furnace need in order to be effective and safe through the cold winter months? One of the easiest things you can do on your own is to make sure to change your furnace filter when it gets dirty. The filter prevents dirt from entering the furnace and becomes clogged with dust, debris, and other impurities. Heating experts may recommend replacing the filter every four to six weeks during the winter. Filters are very affordable and sold in home improvement stores, and even most grocery and “big box” stores. 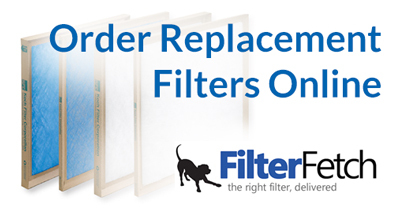 Sizes are not standard, so check your existing filter to find out what size you need. Gas furnaces have vents that conduct the warm air around your home. Sometimes those vents and vent covers become clogged with debris. You can improve the effectiveness of your furnace by periodically cleaning these vents. Start by taking off each vent cover. Wipe with a damp cloth, and clean the inside of each vent with the hose attachment of a vacuum cleaner. Other maintenance that may be more complicated includes cleaning the blower, which is behind the filter system, inspecting the fan, and checking that the thermostat is in working order. Yearly maintenance done by professionals will include inspection of all of these elements to ensure that each component is working the way it should. Performing this maintenance in a timely manner will help you get the most out of your furnace, and will cut down on high repair or replacement costs. A typical residential furnace can last for 10-15 years — but you must maintain it. Unfortunately, many homeowners wait until their furnace stops working to seek professional help. Many common problems are avoidable, however, if you follow some basic maintenance steps. Replacing your furnace’s air filter is a quick and easy task that any homeowner can perform. Over time, dirt, dust and debris will build up on the filter, restricting air flow while subsequently forcing your furnace to work harder. Try to get into the habit of changing your furnace’s air filter once every 2-3 months to prevent this from happening. You should replace your old filters before you use the furnace again for the Winter. When was the last time that you checked your thermostat? If no one is home during the day, there’s no reason your furnace should run during this time. Running a furnace when no one is home consumes power while offering no benefit in return. Program your thermostat to turn on shortly before family members arrive and turn off shortly after they leave. Located next to the filter line in a typical furnace is the blower assembly. The particulate matter that passes through the filter will end up in the blower. If not cleaned, it will then circulate throughout your home, polluting the air. Have your furnace’s blower professionally cleaned to promote better air quality inside your home. A professional HVAC inspection of your furnace should also include a fan inspection. The fan and its components should be inspected to prevent future problems. If there’s dust or debris accumulated on the fan, it could restrict its power. Make sure that no tree branches, leaves, bird nests, or other debris are blocking the chimney. You may want to oil the motor, or furnace blower, before you turn it on. This will help it run more smoothly. It’s common practice to position furniture in a way that’s blocking the furnace vents during the summer months. However, you must remember to move away any such furniture when the winter comes around. Blocked vents can cause your furnace to overheat. If you really want to be sure that everything is safe and ready to use, it’s a good idea to call a professional. A professional will know what to look for, be able to spot potential problems such as cracks, and clean your furnace. Heating systems have the potential to create carbon monoxide, an odorless gas that can kill. It can create flu-like symptoms. You want to make sure that what you are experiencing in winter is not mistakenly thought to be flu, when it is actually carbon monoxide poisoning. You need to make sure that your system does not have any leaks. Not only can the repairman clean, service, and check your equipment for carbon monoxide, but at the same time you might also consider getting a special thermostat installed that will take the temperature of your house down at night or when you are at work. It is cheaper and easier to warm a house than to keep it warm all day for when you return home. A serviceman can also check all the vents to make sure they are clean. You don’t want debris from an animal’s nest that was created during the spring or summer to be sent out through the vents. Dust and debris is part of why people suffer allergies and respiratory problems. Yes, size does matter, but, when it comes to a furnace installation, bigger is not always better. The proper sizing of your heating system is one of the most important aspects in your selection a new furnace. When you have a correctly sized furnace, it will give you a high level of comfort, while also providing the highest efficiency. If your system is too large, it will “short cycle,” frequently turning on and off. If your furnace is short cycling, comfort is limited due to the system repeatedly turning itself on and off, and will also decrease the unit’s operating life. Regardless, the issue of sizing is not so critical that you must nail the requirements down to the very last BTU. New furnaces are most times sold in increments of 20,000-25,000 BTUs. Furnace manufacturers understand that home heating does not require exact BTUs, and so the units reflect this. So, if you end up being off by 20 percent, there is no real issue. Regardless, if you discover that the heating requirement is roughly 10 percent or more above a chosen furnace’s capacity, it is better to increase to the next size furnace. What is the best way to select the proper furnace size for your home? 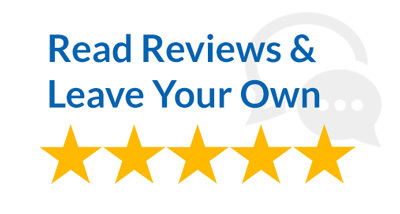 Have a heating contractor provide you with an evaluation of your sizing needs. An experienced furnace installer will become familiar with your home’s floor plan. However, if you receive multiple evaluations, expect that the heating contractors will likely not always agree on the correct size. Therefore, ask for some additional information. If heating professional uses only your home’s square footage, there is no certainty the heating unit will work correctly. Heating industry studies have revealed that over 50% of the furnaces sold are “dramatically oversized.” By this, they mean the furnaces are producing upwards of double the actual BTU’s required, but the industry is working to fix this issue with training programs and industry standard sizing procedures. What haven’t we covered yet that is important to you? If you would like to talk about how equipment size is determined for a furnace installation, or need more information, please contact us. In the winter, many homeowners and their families depend on their furnace to stay warm and comfortable. Unfortunately, furnaces sometimes break down at the most inopportune of times. If your furnace has broken down or is not working as it should, you may be wondering how much you can expect to spend on furnace repair. On average, homeowners pay about $300 for furnace repair. Of course, the cost of furnace repair depends on the size of the furnace and the extent of the damage. Therefore, some homeowners may spend as much as $800 to have their furnace repaired by a contractor. If you want to estimate how much furnace repair will cost for you, it is important to consider a number of cost factors. If your furnace is under a warranty, you may be able to have the cost of new parts covered. However, you will likely still have to pay for the labor and the service visit itself. On the other hand, if you don’t have a warranty for your furnace, the furnace repair cost will depend on the problem. For example, an issue with the fan may cost you more because of the replacement parts. However, the condition, age, and size of the furnace will also influence the repair costs. Before the cold winter months, it is important to have your furnace serviced and repaired, if necessary. For more information about the cost of furnace repair, don’t hesitate to contact us. With temperatures falling and winter right around the corner, the last thing anyone wants is a furnace that doesn’t blow out hot air. A number of events can lead to this problem, ranging from simple fixes to those that are more complex and require a professional. To determine the severity of your furnace’s blower issues, follow these simple tips for home furnace repair. Locate the fuse box for the home and check your furnace for power. A power outage, storm, or a power surge through the electrical system of the house can blow the fuse. Check the thermostat to make sure it is set correctly. Set the thermostat to “heat” and the fan to “auto.” Turn the thermostat up 3-5 degrees than the current room temperature to see if the heat comes on. If your thermostat is digital, replace the batteries. Check vents to ensure that they are open and nothing is obstructing air flow. Locate the air filter in the furnace and remove it for examination. A clogged and dirty filter can affect the air that comes through the ventilation ducts. Replace the filter if necessary. An open door will cause the furnace not to work, so ensure that it is fully closed. Follow the owner’s manual for resetting the furnace. The reset process normally requires turning the reset button or switch off for five minutes, then turning it back on. If you have a pilot light for your furnace, check to make sure it is on. If it’s not, follow the manufacturer’s guide to re-light it. If you’ve completed all the previous steps, and your furnace still isn’t blowing out hot air, it’s time to call in the professionals.